Maharashtra State Board of Secondary & Higher Secondary Education (MSBSHSE), Pune conducts the HSC (12th) and SSC (10th) Examinations every year in the state of Maharashtra through its nine Divisional Boards located at Pune, Mumbai, Aurangabad, Nasik, Kolhapur, Amravati, Latur, Nagpur and Ratnagiri. Maharashtra Board 10th Exam 2019 and Maharashtra Board 12th Exam 2019 will be held in the month of Feb-March. Every year, approximately 17 lakh students take up 10th school exam and around 14 lakh students take up 12th exam. Last Year (2018) the Board had conducted the Class 10 examinations from March 1 to March 24 and Class 12 examinations from February 21 to March 20. 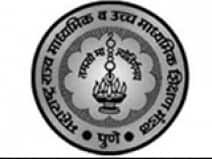 Maharashtra SSC Board Exam Result was declared on 8th June 2018 and Maharashtra HSC Board Exam Result was declared on 30th May 2018. The pass percentage for the Maharashtra SSC Result was 89.41 per cent while the pass percentage for the Maharashtra HSC Result was 88.41 per cent. A total of 125 students have got 100 per cent marks in the Maharashtra Class 10 exam. Gawade Amol Dilip was the topper of the Maharashtra HSC result, 2018. He scored a total of 642 marks out of 650. In 2019 Maharashtra Board will declare the 10th and 12th exam result in the month of May-June. Students can check the results of the Maharashtra Board 10th and 12th examination on www.livehindustan.com. Apart from this, the results can be checked on the official website of the Board.